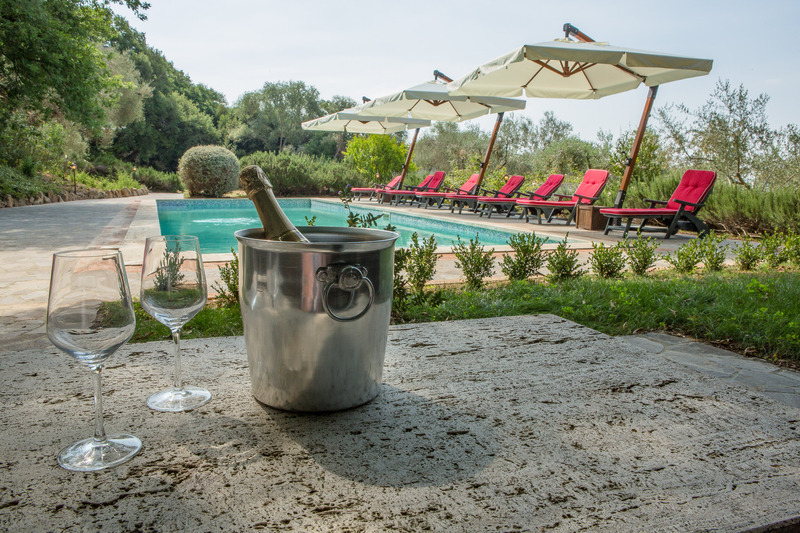 Podere Castelletto is composed by a Main Villa plus 2 Dependances with a total of 8 Bedrooms and 7 Bathrooms. Podere Castelletto is located in Monticchiello, in Val d’Orcia, a region of Tuscany, central Italy, which extends from the hills south of Siena to Monte Amiata. It is characterised by gentle, carefully cultivated hills occasionally broken by gullies and by picturesque towns and villages such as Pienza (rebuilt as an “ideal town” in the 15th century under the patronage of Pope Pius II), Radicofani (home to the notorious brigand-hero Ghino di Tacco) and Montalcino (the Brunello di Montalcino is counted among the most prestigious of Italian wines). It is a landscape which has become familiar through its depiction in works of art from the Renaissance painting to the modern photograph. Main Villa composed by 6 Rooms and 5 Bathrooms. Depandance A - Indipendent entrance from the Main Villa in the courtyard, at the grand floor, composed by a living room, a kitchen, a bedroom, a bathroom. Depandance B - Indipendent entrance from the Main Villa in the courtyard at the first floor, composed by a living room, a kitchen, a bedroom, a bathroom. 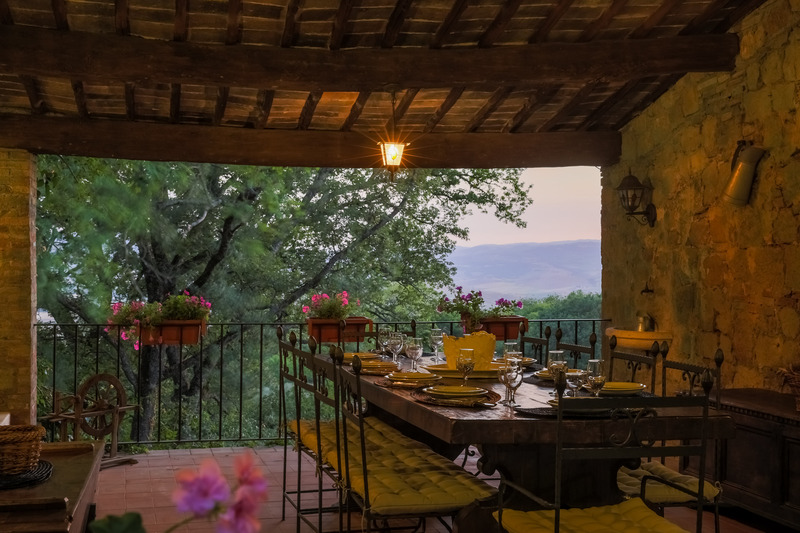 Between Pienza and Montepulciano charming Villa 1300 built on a previous structure along the Via Francigena, an ancient resting place for its proximity with a Carolingian church. The complex consists of 800 mq.ca a manor house, two dependances. 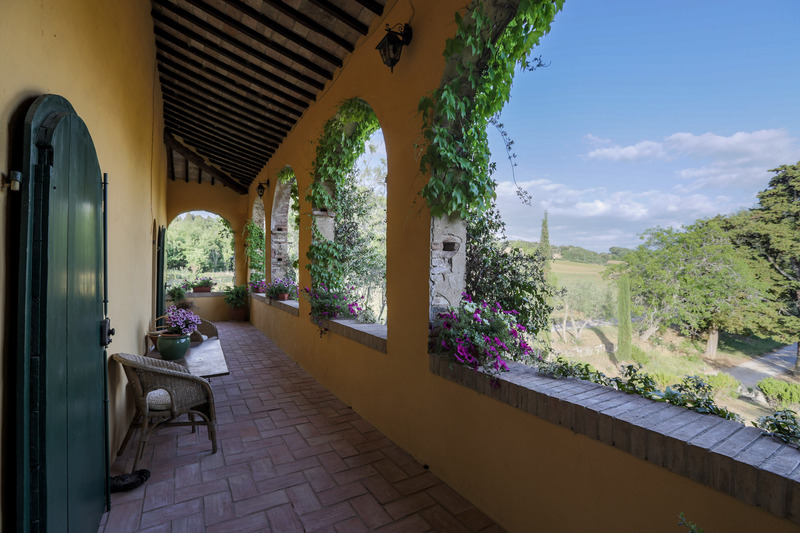 They are connected by a beautiful courtyard covered with a vine-covered pergola. Place of privacy and absolute beauty choice as a holiday home by international distinguished guests, the property has been published in major volumes of furniture and domestic and international gardens. Full large plot of 50,000 square meters. ca. with olive trees and park medicinal plants, a pool of 14x5 meters of travertine edges.